Feather and Black Sale across selected some of our favourite beds, mattresses and bedding lines to create handy bundles at exceptional prices. Since their inception in 2004, Feather and Black have built a strong reputation for quality British beds, bedroom furniture and storage solutions. With an emphasis on affordability, their in-house designers create stylish designs for beds and mattresses, bedroom furniture, bed linen, towels and home accessories exclusively for Feather and Black. If you are looking for that extra special bedroom look that you won't find anywhere else, you will be delighted by their luxurious and high quality designs. With their latest collections drawing inspiration from earthy nature and chic loft living, they have created a range of collections to suit all budgets and tastes. Add Feather and Black to your Favourites list and be the first to know every time they have a Sale on! 1st January 2018 - Feather and Black New Years Day sales for 2018. 7th May 2018 - Feather and Black Early May Bank Holiday sales for 2018, add to your diary now! July 2018 - Feather and Black Summer 2018 sales, joining us? 23rd November 2018 - Feather and Black Black Friday sales in 2018 start on Friday 24th November. Add products from Feather and Black to your Love Sales list. Get the Love Sales button now! Feather and Black January Sale across selected some of our favourite beds, mattresses and bedding lines to create handy bundles at exceptional prices. 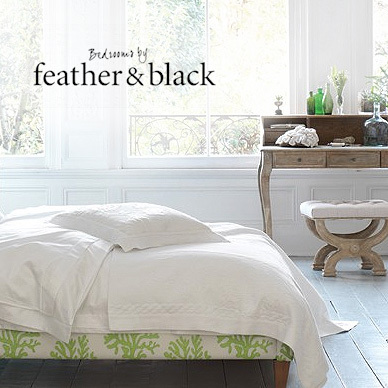 Feather and Black Boxing Sale across selected some of our favourite beds, mattresses and bedding lines to create handy bundles at exceptional prices. Feather and Black Christmas Sale across selected some of our favourite beds, mattresses and bedding lines to create handy bundles at exceptional prices. Feather and Black Cyber Monday Event across selected some of our favourite beds, mattresses and bedding lines to create handy bundles at exceptional prices. Feather and BlackBlack Friday Event across selected some of our favourite beds, mattresses and bedding lines to create handy bundles at exceptional prices.